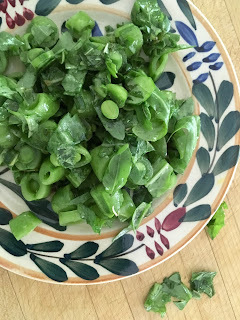 The farmer’s market is really starting to get good, and the snap peas topped my list of favorites this week. To trim, simply snap off the stem and pull it down along the length of the pea taking off the string as you go. Then it’s just a matter of cutting them into half inch chunks, shell and all. Combine the chunks with a handful of chopped mint and toss with fresh lemon or lime juice, extra virgin olive oil, and salt and pepper to taste. Before serving add some chopped arugula and mix well. 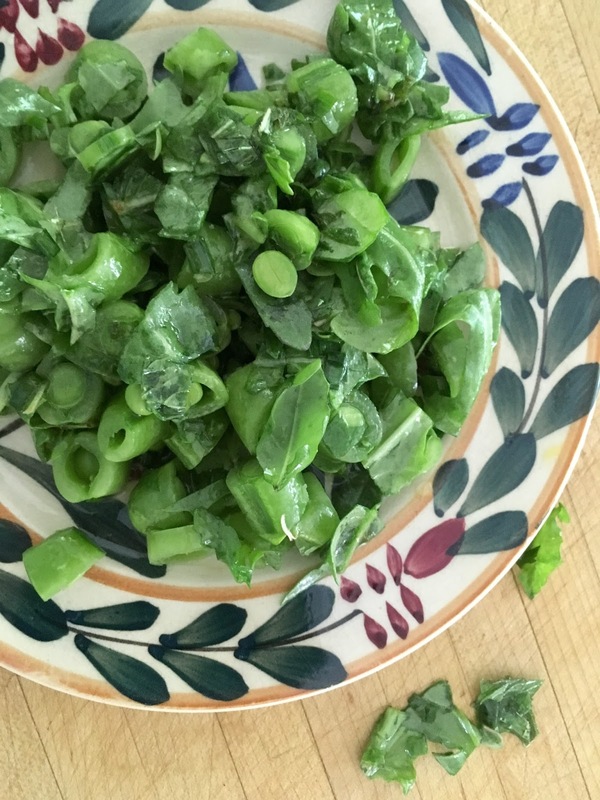 Don’t wait; the snap peas won’t be around for long.